Do you feel God is calling you to go on a mission trip? 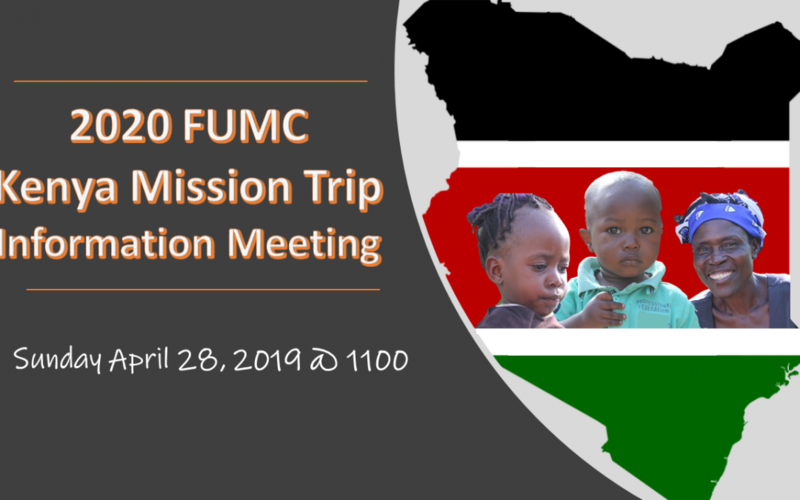 On Sunday April 28th at 11:00, after the 9:30 service, there will be an information meeting on our upcoming 2020 Kenya mission trip. We will have pictures of our previous trip, explain what we will be doing on the upcoming trip and answering all of your questions. We will also have some snacks. If you are thinking about going but can not make the meeting please contact CJ at cj@fumcdurango.og.